Ludlow has many things to offer - from walking the streets of this historic town and visiting the castle and St Laurence's Church, to a meal at one of Ludlow's restaurants. Ludlow is also noted for the many events and festivals that take place, from the annual Medieval Christmas Fayre and the famed Ludlow Food and Drink Festival. You will find plenty of things happening! For a full list of Events in Ludlow click here. Below is a list of some of the attractions and activities open to the public in Ludlow. 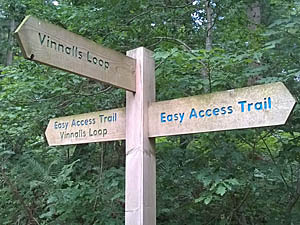 You may also wish to look at our Attractions Near Ludlow page for something in the beautiful surrounding countryside. The impressive ruins of the castle occupy the oldest part of Ludlow. Building of the castle started around 1086, with many later additions in the following two centuries. It is one of the most interesting castles in the Marches, in a dominant and imposing position high above the river Teme. It features examples of architecture from the Norman, Medieval and Tudor periods. 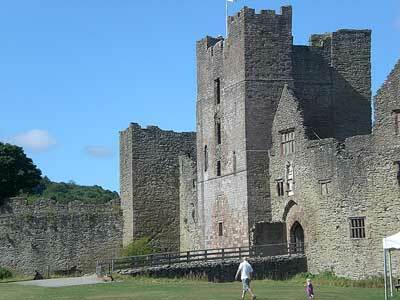 Click here for more information about Ludlow Castle. Saint Laurence’s Church was established as a place of worship when the Normans founded Ludlow in the late 11th century. It is situated in the centre of Ludlow on the hill around which the medieval town developed. 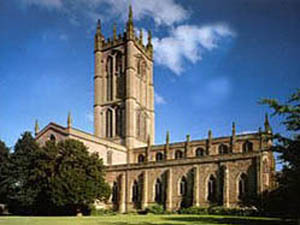 The church is the largest parish church in Shropshire and is described as the "cathedral of the Marches". The tower is 135 feet (41 metres) high and commands excellent views of the town and surrounding countryside. St Laurence's is a Church of England parish church and is an active place of worship and is also open to the public. Click here for more information about St Laurence's Church. The museum contains an interactive environment rich in history, while encapsulating the architecture and social history through its town centre location. The building is prominently located within the historic walled town of Ludlow, forming a key focal point at the head of Broad Street. 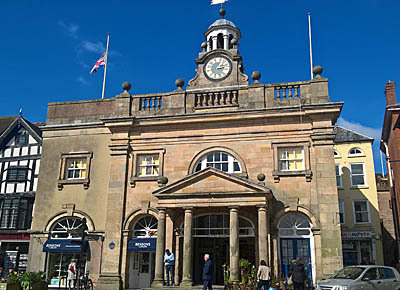 The Buttercross occupies the main approach to the town centre from the south, forming a pivotal point on the dramatic spatial progression that leads from Ludford Bridge via Broadgate to the Ludlow Castle gates. It reveals the town’s proud architectural heritage to visitors and signposts them to other heritage venues in Ludlow to help visitors get the most from their stay. For more information, location map and prices please click here. 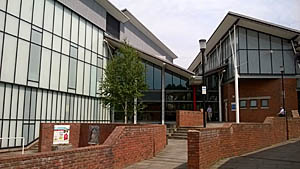 The Ludlow Library and Ludlow Museum Resource Centre are situated at the end of Parkway, off Corve Street, with a large public car park accessible from Upper Galdeford and Station Drive. Disabled parking and provision for bicycles is available adjacent to the entrance. 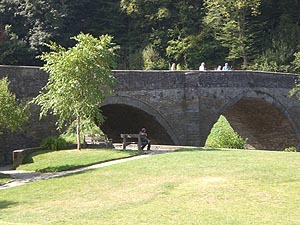 Ludlow Millennium Green situated by the River Teme and Dinham Bridge, is a popular destination for locals and visitors. It is well worth a visit to just sit and relax and feed the ever hungry ducks swimming by. A large green open space is ideal for picnics or soaking up some sun. Nearby is The Linney, a large playing field next to the River Teme with toilets, parking and a childrens play area. Ludlow is surrounded by ideal countryside for walking. Walks from the town lead out to forests and farmland; the Shropshire Hills are a short bus or car ride away. Ludlow is at the start of the Mortimer Trail, a long-distance path to Kington on the Herefordshire/Wales border. For more information on Ludlow Walks please visit our Walking page. Ludlow and the surrounding south Shropshire countryside is an ideal cycling area. The beautiful hilly countryside which includes the Shropshire Hills Area of Outstanding Natural Beauty has many quiet country lanes, forest areas and planned routes to suit cyclists of all abilities. For more information on Cycling in Ludlow & south Shropshire visit our cycling page. Ludlow Assembly Rooms is an arts centre providing cinema, music, and drama. For the latest programme details phone 01584 878141 or visit their website. Ludlow Leisure Centre, at Bromfield Road, provides a range of modern facilities including a sports hall, swimming pool, fitness and health suites, courts for hire and a refreshment area. The centre is open daily. Please visit their website for more details. 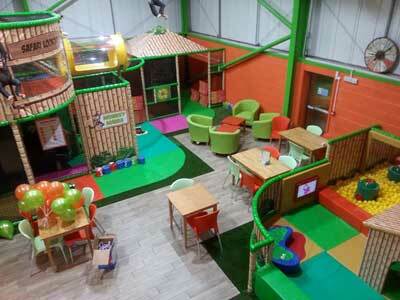 Monkey Mania is Ludlow’s premier party venue and indoor soft play centre for children and toddlers. They aim to provide a three tiered themed soft play experience and a separate area for toddlers. Facilities include separate party rooms that will be serviced by an on-site café serving food and barista quality coffee. Ludlow Racecourse is a small friendly National Hunt racecourse, often referred to as "Lovely Ludlow" by Radio 5 Live, it is just 2 miles north of Ludlow. An exciting day out for all race fans. Guided tours of the medieval town centre of Ludlow are available every Saturday, Sunday and Bank Holiday from Easter until the end of October. Tours cost £3 per person; children free, and last about 90 minutes. The Meeting Point is at the cannon outside the Castle at 2.30 pm. They introduce visitors to: the history; the architecture; life in Ludlow over the centuries. Special Tours for small or large groups are available at any reasonable time of day, and can be booked with Roger Furniss at 01584 874205 or furniss@phonecoop.coop. These cost £3 per person with a minimum charge of £20. It is also possible for an additional £10 to have an in-charcater tour with Thomas Farnolls Prichard, Georgian architect and inventor of cast iron bridges.